Hello Sirs, I have a connection problem in my game. Soon after I log in and enter the game this error occurs "[SYSTEM] - Unreliable Connection" Can anyone help me? I can not play Truckers MP any longer! Hello, I'm here again. A few months ago I came here to ask for help on the same subject, but without solution. I tried various ways and ways to solve my problem. 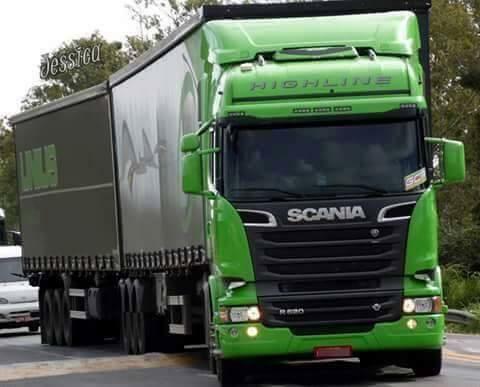 My problem is: Truckers MP with the game ETS2. As the picture below shows, I enter the game but the ping of the other players is 0 and their trucks do not move, only the wheels. Help me. NOTE: I have already uninstalled the game, deleted the Truckers MP cache folders, and have already reinstalled it. Hello, I'm here again. Well, a few days ago I asked for help here because my Truckers Multiplayer was not loading the players and even then it appeared on the "TAB" key. Well, I followed these steps: Hello, try those: Go to Documents and Delete the ETS2MP Folder Press the Windows Key + R (Win + R) on your keyboard Enter "% programdata%" and press Enter (Without the quotes) Find the folder "TruckersMP" and delete that folder. And Navigate to C: \ Program Files \ and delete the folder named "TruckersMP Launcher" And, go to re / download this launcher here And also these steps: 1. Try turning your router off for 1 minute and then turning it back on and see if you still have connection problems 2. Try clearing your DNS cache, follow this link for the guide https://documentation.cpanel.net/display/CKB/How+To+Clear+Your+DNS+Cache 3. Try changing your DNS to Google's one and see if that has any effect https://www.techworm.net/2016/08/change-default-dns-google-dns-fast-internet-speeds.html 4. Try re-setting your win-sock cache step 1: click on windows search program and type "cmd" enter (run cmd as admin, right click run admin) step 2: once you're in, type "netsh winsock reset catalog" enter step 3: type "netsh int ip reset.log hit" enter step 4: restart your computer Reset your network adapter, firewall and DHCP. Okay, I did this and solved it, but now I connect in the truckers and the players load too, but soon after loading they stop and it happens like in the following images: NOTE: The wheels of the trucks keep walking, but they are stopped. HELP! Thank you all, but this is the only comment that helped me, thank you, thank you. Sorry, I translated into english. When I open my ets2 multiplayer, this message appears "There was an error contacting our update servers. Press Ok to try again or cancel to visit our download page." And when I click cancel, the last update is downloaded, but I've already downloaded it. I downloaded the update several times, I already uninstalled ets2 and installed again, I deleted this new update, which is this launcher, and installed again, I suspect there may be something missing from the program files, but I can not resolve it this problem. 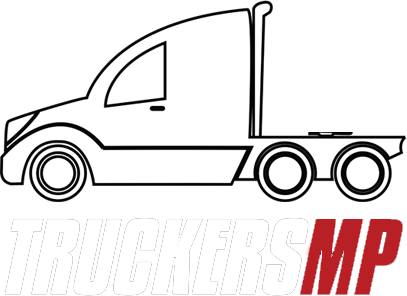 I've tried the following options: Reinstall and download the TRUCKERSMP initiator again; Clear temporary Windows files; Download the updated FrameWork. And yes, I have windows 10, 64 bit.